A woman was killed Friday night in Pierce County after a teen driver ran a stop sign and crashed into the woman’s vehicle, according to the Pierce County Sheriff’s Department. The incident occurred around midnight near 128th Street East and Vickery Avenue East. A 16-year-old boy in a Chevrolet Silverado pickup was speeding south when he passed a car and ran a stop sign, police said. The boy then crashed into the passenger side of a Honda Accord driven by a 58-year-old woman. The collision sent both vehicles off the road. The woman was pronounced dead at the scene. A police investigation found the teenager was not impaired. The boy was released to his father. According to The News Tribune, prosecutors will decide whether to press charges. According to the Centers for Disease Control, teens are more likely than adults to make critical decision errors that lead to serious crashes. In 2013, young people ages 15-19 represented only 7 percent of the U.S. population. However, they accounted for 11 percent ($10 billion) of the total costs of motor vehicle injuries. Despite all the best intentions, accidents can and do happen every day. Sometimes they are fatal. If you have a family member that was involved in an accident where the other driver is at fault, you have legal options you can pursue. Usually speaking, a wrongful death is a death incurred by someone’s negligence, such as carelessness, incompetence, or failure to act. Loved ones of the departed can file wrongful death personal injury lawsuits on the departed’s behalf. These sorts of civil lawsuits, regardless of criminal charges, assist loved ones in recuperating losses for pain and suffering, stress, loss of personal relationships, monetary loss, medical bills, and other incurred costs. If your loved one was recently killed due to someone’s negligence, there is a chance you would benefit from consulting with a qualified personal injury lawyer. The compassionate wrongful death attorneys at Davis Law Group, P.S., have nearly 25 years of experience. 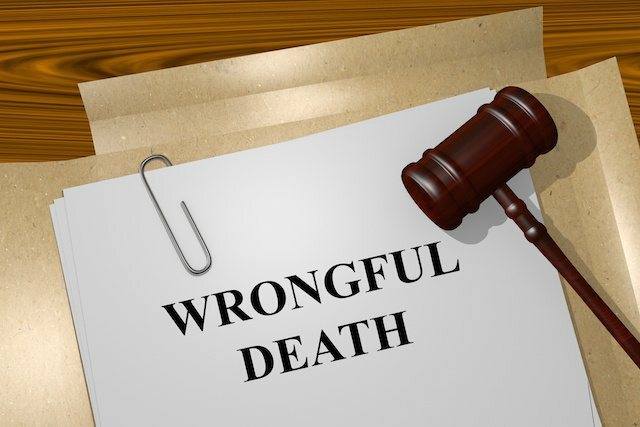 Our attorneys are well versed in Washington state-specific laws and know how to structure a wrongful death claim to give your family the best chance at optimum compensation that may be deserved. Attorney Chris Davis is highly skilled in both negotiation and litigation related to wrongful death claims. If reaching a settlement is not feasible, we stand ready to take your case to trial and fight hard to win the compensation you deserve. Contact us today at (206) 727-4000, use the chat feature below or fill out the form on this page to get started.